In early development and concept stages FOR SOUND DESIGN with the creative director of Astral PlanE. an ambient style game app designed to create a unique meditative experience. SLATED TO REMIX this epic track from Crook, 'Lavender' has already been selected BY Outfest and Transtellar Film Festival for awards this season. More to come, including a radio edit aND ambient translation of this track. In the meantime, you can check out the video below, or find an interview on the song's inspiration with the writer, Daniel Crook, here. The Mad Tiger score IS now available on picture Disc 180gm vinyl! See iT AND HEAR IT in action below. ALSO, You can pick one up here. had the honor of joining director Jon Yi at the Alamo Drafthouse in San Francisco for a Q&A ON Mad Tiger and the scoring of the film during CAAM Fest LAST night, it was a pleasure finally seeing the film here at home. and DON't I look smart in glasses? Thanks all for a wonderful evening! 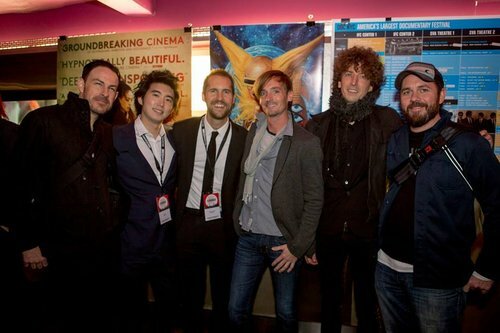 I'll BE Joining FORCES WITH Joy Wants Eternity and COMPOSER Daniel Salo to score the upcoming film Mad Tiger, directed by Jonathan Yi and Michael Haertlein. The story behind the Japanese punk band, Peelander Z.
Unlearn enters the world of wearable tech and high fashion with Electric Foxy's new social media invention, Ping. The days of Knight Rider have arrived: I've been developing sounds for Fisker's new electric sports car, Karma. This project has been under wraps for some time, AS THIS will be the first electric car to feature surreal engine sounds. The prototypes I've been working on ARE otherworldly. Hopefully this trend takes off and I can stop worrying about being hit by a Prius every time I step off the curb.. I've signed on to compose the Sci-Fi Television short The Unknown, starring Conroe Brooks. Excited for this one, as running time is about 20 minutes and there is only 2 words of dialog in the entire film. WELL, That leaves the storytelling up to me in the AUDIO department.. ARID LANDS PULLS IN 11 AWARDS! including "People's Choice," Wild & Scenic Environmental Film Festival; "Best of Fest," Hazel Wolf Environmental Film Festival; "Best Documentary," Ellensburg Film Festival; "Best Environmental Film," Plymouth Independent Film Festival; "Focus Award" and "Best Independent Film" Montana CINE International. Not to mention 24 nominations to boot. Congrats, guys! 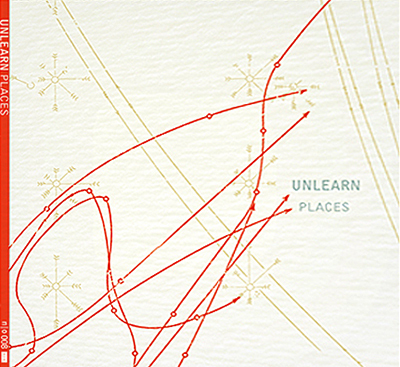 the first full length LP from Unlearn, Places IS HERE! You can find it on iTunes, Amazon, OR STREAM it just about anywhere. If you'RE LOOKING FOR A REAL-LIFE, TANGIBLE version of the album you can order from Noise|Order Records.